As far as anti-aging ingredients go, ceramides have a proven record, but are often overlooked, and rarely explained. Here, we’ll dive deep to clarify how ceramides help skin retain moisture, fortify its protective barrier, and keep its appearance firm and plump—especially given the recent research clarifying ceramides’ unique ability to rejuvenate skin’s appearance. Simply put, ceramides are lipids (fats) that are found naturally in high concentrations in the uppermost layers of skin. They make up over 50% of skin’s composition, so it’s no surprise they play a vital role in determining how your skin looks (and how it responds to environmental threats). Think of ceramides as the mortar between bricks—if the bricks are your skin cells. Ceramides help hold skin together by forming a protective layer that limits moisture loss and protects against visible damage from pollution and other environmental stressors. In addition, ceramides—even more than retinol, niacinamide, and peptides—are one of the anti-aging “powerhouses” responsible for supporting skin’s dynamic nature. Two particular ceramide precursors—phytosphingosine and sphingolipids—actually help skin make more ceramides. If my skin already contains ceramides, why do I need them in my beauty products? Age and sun damage reduce the effectiveness of your skin’s natural ceramides—and can eventually deplete them, which weakens your skin’s barrier. The results are drier, rougher skin, wrinkles, irritation, redness, and visible signs of dehydration. This is where skincare knowledge comes into play—because it really is possible to significantly restore what’s been diminished. What results will I see from products containing ceramides? Well-formulated (and properly packaged) skincare products containing ceramides will help reinforce your skin’s barrier and increase hydration—giving you plumper, smoother, firmer-feeling skin with fewer visible lines and wrinkles, as well as fewer signs of sensitivity. The majority of anti-aging ingredients most beneficial for your skin aren’t stable. Simply put, they lose their effectiveness if exposed to light and air—which is exactly what happens every time you open a jar. Look for products in tubes or opaque bottles with pumps or airtight dispensers; they’ll keep your anti-aging products performing the way they should. How will I know if a product contains ceramides? Generally, you’ll see the word ceramide on the ingredients label (ceramide AP, EOP, NG, NP, or NS), but not always. For example, phytosphingosine and sphingosine are ingredients known as ceramide precursors, meaning they can nudge skin into making ceramides. But, given ceramides’ stellar anti-aging abilities, most products will advertise them on their labels or product pages if they’re included in the formula. Which skin types are ceramides best for? Ceramides fall under the category of “skin-replenishing” (aka skin-identical) ingredients. Because they’re naturally a part of your skin, ceramides are ideal for all skin types—even the most sensitive, breakout-prone, or oily skin. They’re also safe to use around the eyes, as long as the product is fragrance- and irritant-free. Which other ingredients do ceramides work well with? Ceramides are most effective when combined with other skin-replenishing ingredients like fatty acids, glycerin, and cholesterol. Lipid mixtures like these are ideal for improving skin tone, skin texture, and relieving signs of sensitivity. 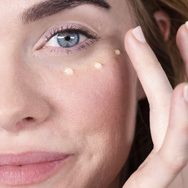 But, because no single ingredient can do everything to combat the visible signs of aging, be sure your ceramide-enriched product also contains antioxidants and what we refer to as “skin-restoring” ingredients; for example, retinol, niacinamide, linoleic acid, and peptides. AHA and BHA exfoliants are fine to use with any other Paula’s Choice Skincare products, including those that contain ceramides; they’re all designed to work in tandem. A gentle leave-on exfoliant will actually improve the effectiveness of your ceramide-enriched product because there won’t be a layer of dead skin keeping vital ingredients from absorbing as they should. Which Paula’s Choice Skincare Products contain ceramides?